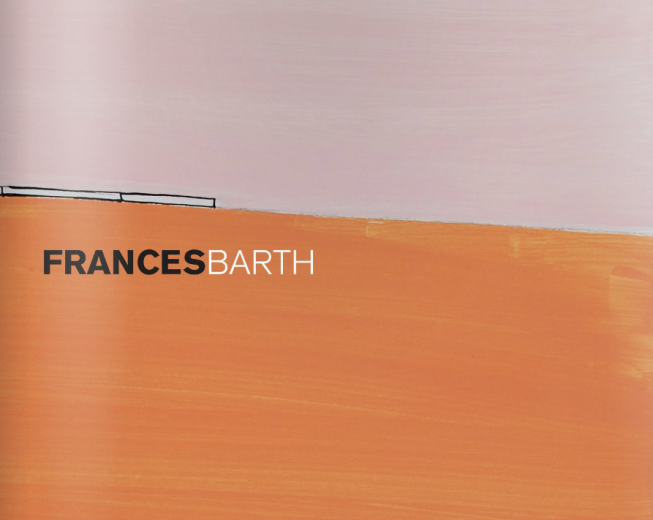 New York-based artist Frances Barth forges imaginary landscapes that are at once confounding and sublime. 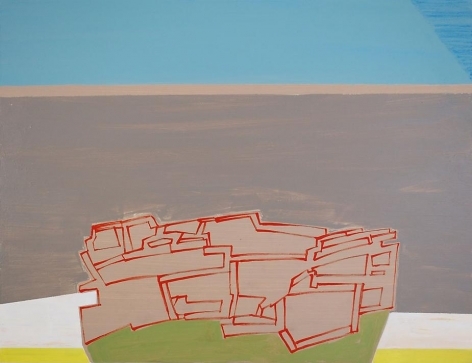 Barth synthesizes contradictory ways of expressing light and space in her paintings that challenge the viewers’ notions of pictorial space and time. 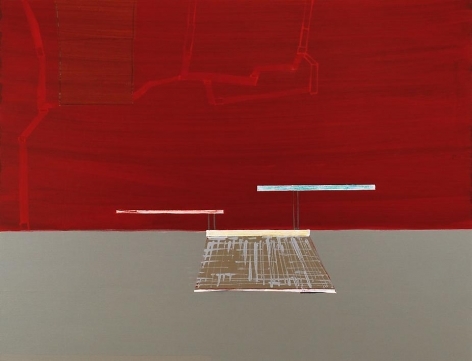 Barth pulls together different visual vernaculars for representing space, from geological landscapes and mapping to animation and abstraction. 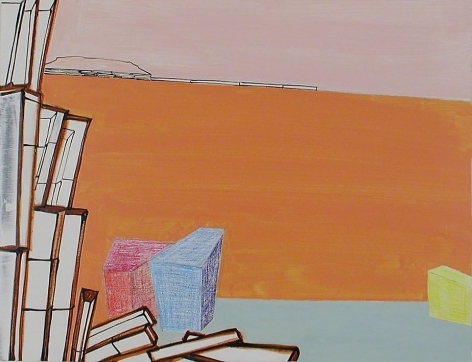 Layering expanses of painted colors with cartographical lines rendered with hand-made stencils and engineering drafting pencils, Barth affords the viewer an aerial perspective one moment, and in another, intimate views of lengths of abstract color. 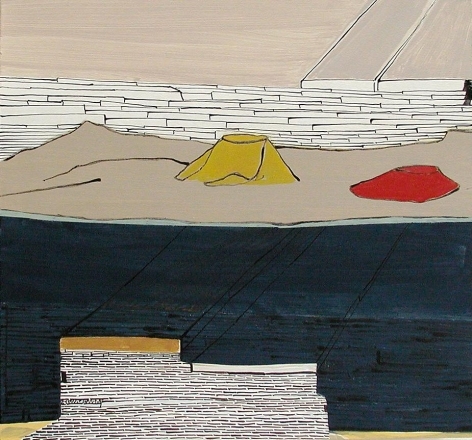 As these landscapes expand and contract, they convey a flatness and volume simultaneously. Barth’s works demand that the viewer pause and consider the possibilities of painterly space and abstract geometric compositions. There is a powerful sense that these landscapes are moving, and are even in the process of becoming, and as such, her paintings convey a strong narrative quality. As the viewer is shifted from one perspective to another in the same work, creating a sort of visual montage. These moments overlap but do not merge, and on one level, bring a sense of dislocation, and on another, imply the passage of time. Like her disparate perspectives, Barth’s use of indefinable and elusive color—in which hues are taken out of context—further creates a sense of spatial dislocation. A director of the Mt. Royal School of Art, Maryland Institute, Barth has exhibited extensively across the United States. Her paintings are included in prominent collections including those of the Metropolitan Museum of Art, New York; The Museum of Modern Art, New York; the Whitney Museum of American Art, New York, and the Dallas Museum of Art, Texas. 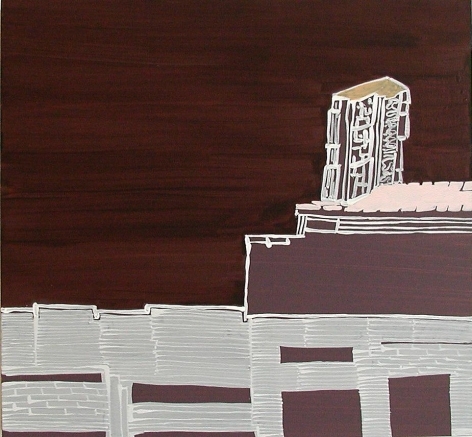 Her work is also included in private collections including Chase Manhattan Bank and IBM Corporation, New York.